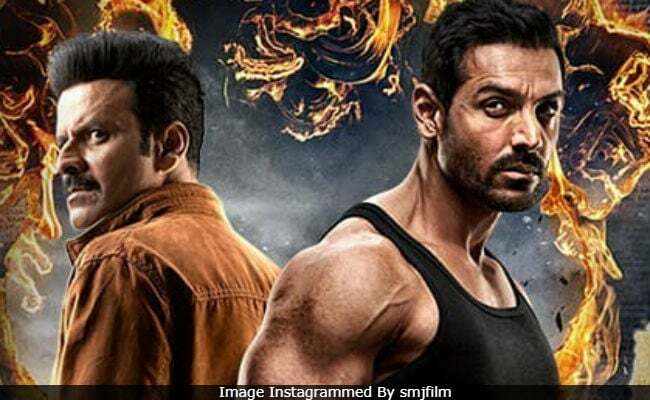 Satyameva Jayate, John Abraham's Independence Day release, opened to good box office numbers, but on Day 2, the film's collections dropped massively. Having earned Rs 20.52 crore on Wednesday, Satyameva Jayate added about Rs 8 crore more to its total collection on the second day, trade analyst Taran Adarsh reports. However, an 'upward trend' is expected on Day 3. Satyameva Jayate's current total now stands at Rs 28.44 crore. "Satyameva Jayate saw a big dip on Day 2. Expected to show an upward trend today (Day 3). Single screens/mass belt remains strong. Wednesday 20.52 crore, Thursday 7.92 crore. Total: Rs 28.44 crore," Taran Adarsh tweeted. Take a look at Satyameva Jayate's box office collection here. #SatyamevaJayate saw a big dip on Day 2... Expected to show an upward trend today [Day 3]... Single screens/mass belt remains strong... Wed 20.52 cr, Thu 7.92 cr. Total: 28.44 cr. India biz. #SatyamevaJayate springs a BIG SURPRISE... Plexes are good, but single screens are ROCKING... Wed 20.52 cr. India biz. Box Office India reported that Satyameva Jayate was on the list of five biggest opening day of 2018, along with Akshay Kumar's Gold, which also released on Independence Day. While Gold got the third biggest opening, Satyameva Jayate got fifth. The combined box office collections of Satyameva Jayate and Gold on Day 1 was approximately Rs 45 crore. Though Satyameva Jayate got a good opening, it released to poor reviews. NDTV's film critic Saibal Chatterjee gave the film 1 star out of 5. "Satyameva Jayate, truth be told, is a film that has no apparent reason to exist. Not a shred of it is original. At best, it makes a silly spectacle of beating a dead, decomposed horse. At worst, it is a product of a tendentious mind. Satyameva Jayate is nonsensical, with nary a nod to logic," he wrote. Satyameva Jayate is a vigilante drama directed by Milap Zaveri. The film also stars Manoj Bajpayee and Aisha Sharma.